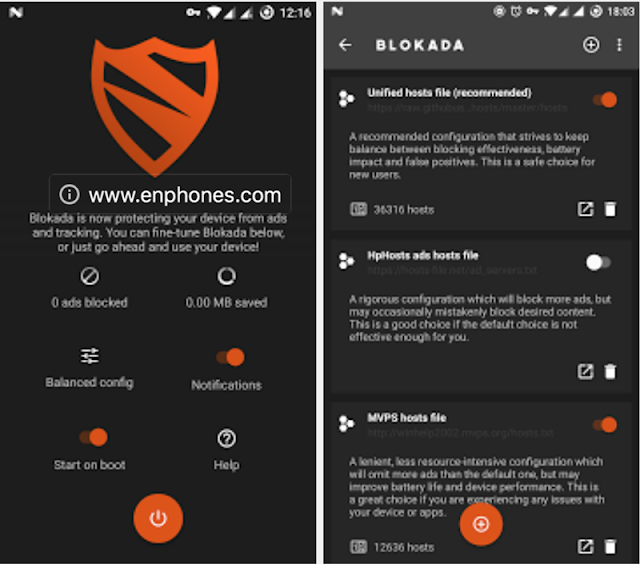 Blokada apk is a compact app that transparently blocks unwanted ads, tracking, malware and other annoyances on android apps without root permissions, it can help you to save data plan and protects your privacy. blokada also can makes your device faster by preventing it from downloading and displaying unnecessary content. Unlike other ads blocker applications, Blokada works across all of your apps, not only with browser, so you can block and hide ads from within the apps and games, also it doesn't require root, supports both wifi and mobile networks. it's very easy to use Blokada app on your android, download it from the link bellow, install it and turn it on by clicking "On/Off" button, and it will do the job silently.